During my weekly shopping trip to Costco, I came across organic butternut squash that was already cut into pieces, so I could not pass it up! Mix well in a large bowl, the squash, oil, garlic, salt and pepper. Transfer squash to a rimmed baking sheet lined with foil. 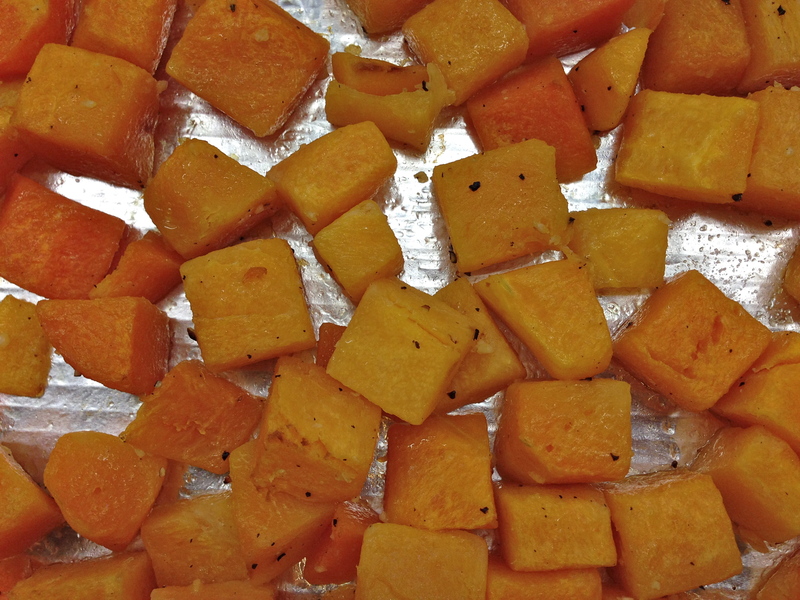 Arrange squash in one layer and roast for about 20 minutes and flip over once and continue to roast for another 20 minutes or until squash is tender. Serves 4. Thanks for reblogging my blog!